Premier League club Cardiff City’s record new signing, Argentine striker Emiliano Sala, was missing on Tuesday after a light aircraft he was travelling in disappeared over the English Channel. 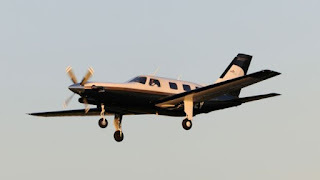 Sala, signed on Saturday from French club Nantes for a reported fee of 17 million euros ($19.3 million), was flying to Cardiff aboard a small plane that disappeared from radars around 20 kilometres (12 miles) north of Guernsey on Monday night. French civil aviation authorities confirmed that 28-year-old Sala “was on board the plane”. A statement from police on Guernsey, a British island just off the coast of France, said the pilot had requested to lower his altitude shortly before air traffic control in neighbouring Jersey lost contact with the plane. After a search was called off on Monday because of high winds, two helicopters, two planes and a lifeboat joined renewed efforts on Tuesday morning to find the single-propeller plane. “So far over 1,000 square miles have been searched by a total of five aircraft and two lifeboats,” Guernsey police said at 1145 GMT. It is thought Sala was one of two passengers on board, but French civil aviation authorities were unable to confirm that. Neither club has commented publicly on the disappearance, but Nantes have postponed their French Cup match against third-tier side Entente SSG on Wednesday as a mark of respect. When he put pen to paper at Cardiff on Saturday, Sala, who also has Italian nationality, said in a statement: “I’m very happy to be here. It gives me great pleasure and I can’t wait to start training, meet my new team-mates and get down to work. Sala’s last post on Instagram showed him surrounded by players from Nantes. “La ultima ciao (the last goodbye),” he wrote. Cardiff, who currently sit third from bottom of the English Premier League with 19 points, said they were “very concerned”. “We are awaiting confirmation before we can say anything further. 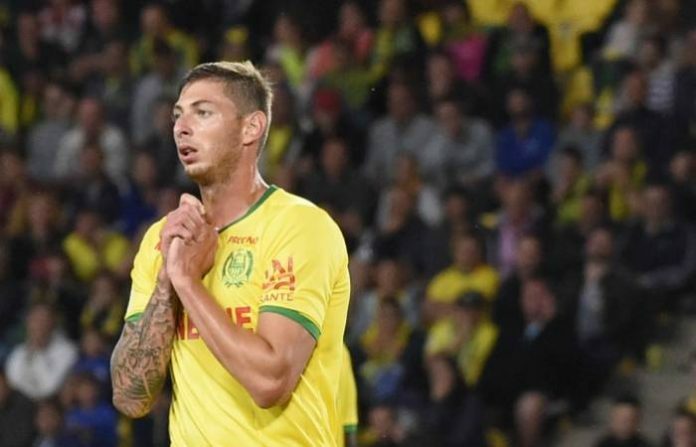 We are very concerned for the safety of Emiliano Sala,” the club said in a statement. The accident, if confirmed, comes only three months after the Thai billionaire owner of Leicester City football club died in a helicopter crash that shocked the club and supporters around the world. Vichai Srivaddhanaprabha and four others died on October 28 shortly after taking off from the pitch of the club’s stadium in central England. Disconnected cockpit pedals, which are used to control the rotor on the helicopter’s tail, were found to be the cause of the accident by investigators. Sala began his footballing career at French club Bordeaux, who he joined in 2010, and spent loan spells at other French clubs including Orleans, Niort and Caen. He joined Nantes in 2015 for one million euros and appeared to be peaking as a player in recent seasons, overcoming technical shortcomings that had held him back earlier in his career. He was tipped for a move to Turkish giants Galatasaray last summer. “He’s a very likeable lad, very hard working,” his coach at Nantes, Vahid Halilhodzic, said of him recently.